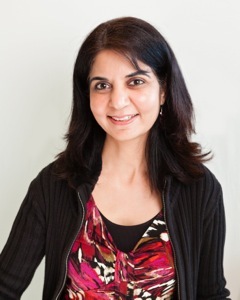 Dr Bharti Shah has over 20 years experience in dentistry. She has an MSc in Prosthetic dentistry from the highly esteemed Eastman Dental Institute (University of London). Her experience ranges from being a general dental practitioner to senior house officer in the Prosthodontics Department at Hillingdon PCT, Ickenham Clinic and Mayday Hospital Croydon. For the past 14 years she has also been working at Emergency Dental Clinic in St. Charles Hospital providing urgent dental care to patients with emergency dental problems and dental trauma as a result of accidents and injuries. Bharti has a keen interest to continuously stay abreast of the dental advancements. She believes in minimally invasive and evidence based dentistry. To further her knowledge and skills, she has undertaken courses in Restorative Dentistry & Periodontology at the Eastman Dental Institute. She is also a certified provider of Six Months Smile and Inman Aligner. Dr Bharti Shah’s vast experience coupled with her gentle approach and pleasant manner, allows her to deliver outstanding care and treatment to patients especially those who are nervous.